After his decisive victory against my Stryker1 my son casts about for a new victim. Fortunately one of the guys at the club is not busy prepping for Clogcon, and he picks up Axis. Not strictly speaking a legal army, but Thomas decides to throw in some troops so my son can see how they work. 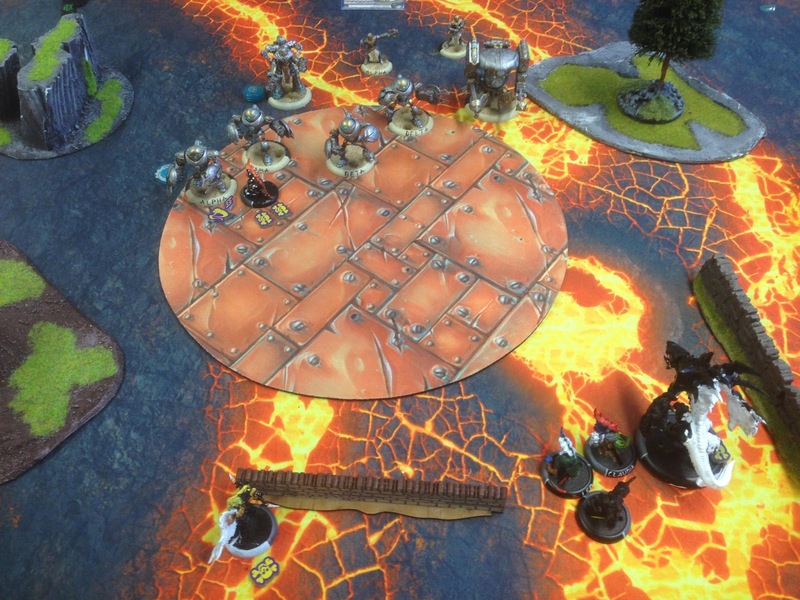 Axis wins the die roll and claims the zone. Looks like I forgot to take a photo in the middle of all the action. What happened was that Lylyth shot and cast Parasite on the Eradicators and a Shredder charged in. Axis first feats and tries wants to go for a hail mary on Lylyth. he realizes it cannot work so instead he kills a Shredder. 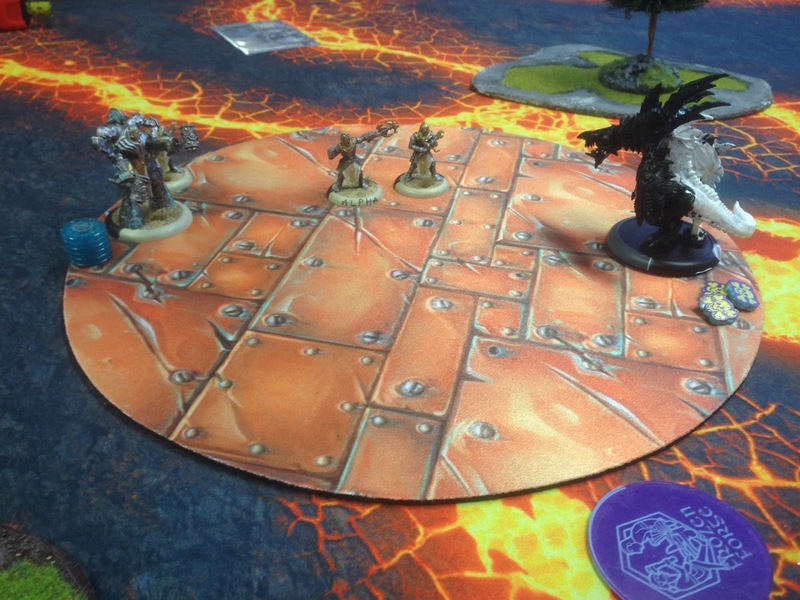 Lylyth commands his Carnivean and Shredders to go to town on the Eradicators. A Shredder triggers Countercharge and gets splatted. The other Shredders leave only one Eradicator alive. Axis claims the zone and the remaining Shredders die. With Parasite, an assault shot and 7 attacks from the Carnivean the Inverter is grinded into metal filings. 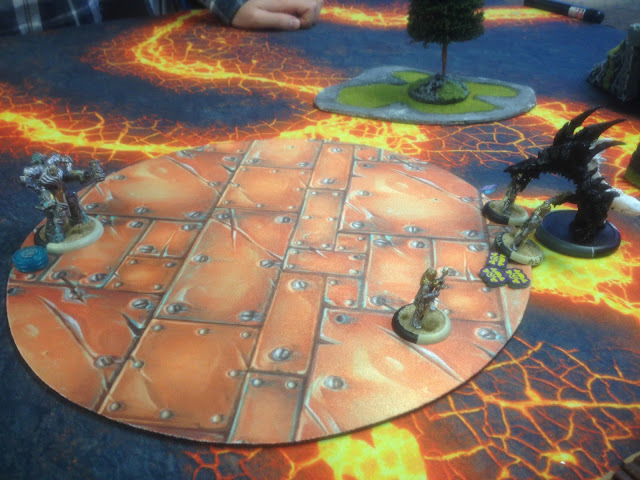 Axis pushes the Carnivean out of the zone. The Optifex Directive charges the Carnivean, it is left at 15 boxes. 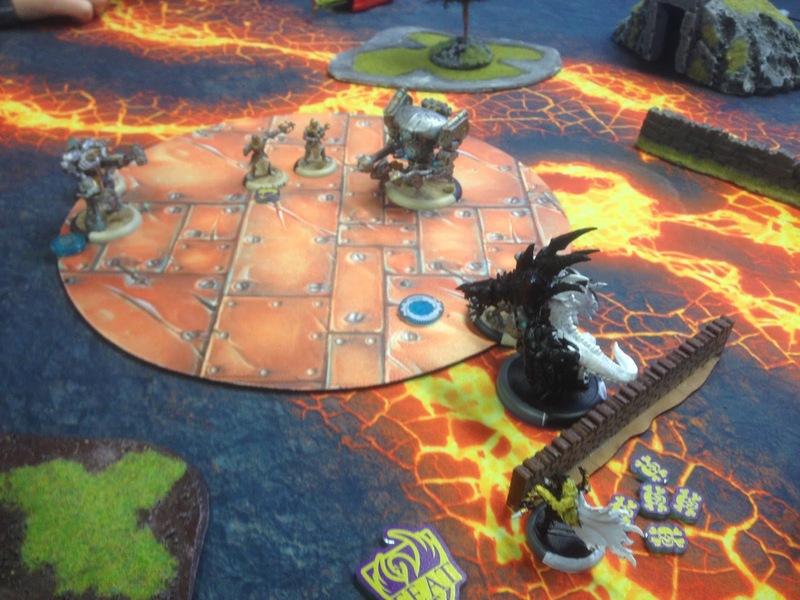 The Carnivean and Lylyth kills off the rest of the troops. 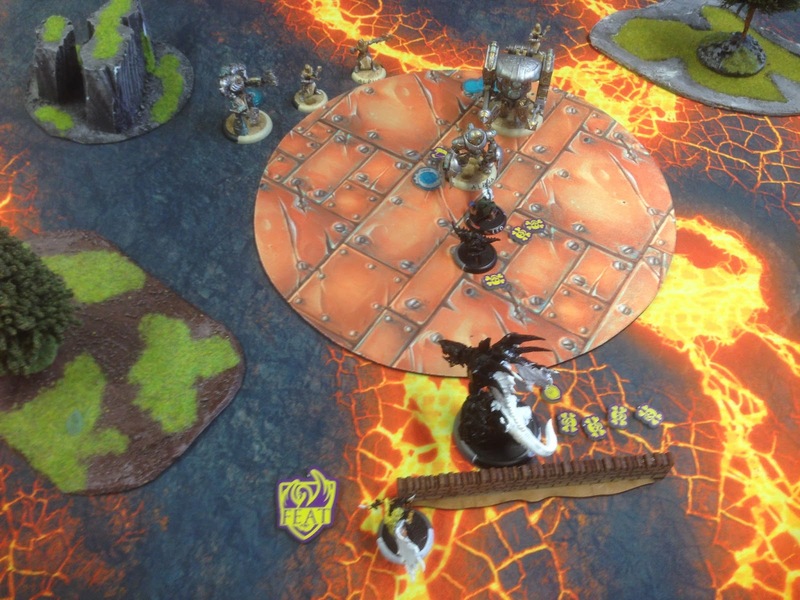 Since a normal battlebox game ends when the battlegroup is gone, we declare the game a resounding victory for the glory of Everblight. Me: "So, was the day as good as you though it would be?" Him: "It was better! What was that big dragon called?" Him: "I want an Archangel for Christmas just as much as an iPhone."